Check out those awesome hair styles! And what about that sweet guest chair Jay is sitting on – you think your wives or girlfriends would like that in their living rooms today? It turns out in our research we found a ton more great pictures of the two from the 1970s, 1980s and even the 90s – check them all out below! 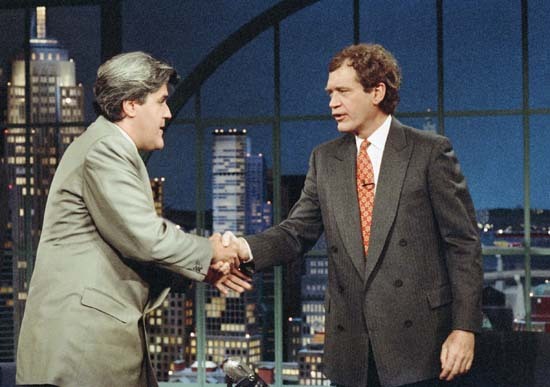 You gotta love that ginormous wall thermometer in the background of the last Leno and Letterman picture, which looks like it is from the 80’s. 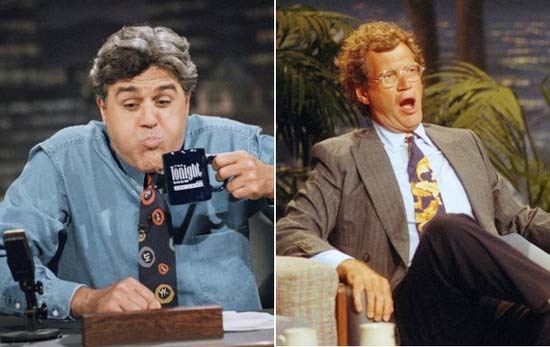 So who is or was your favorite late night television host: Leno, Letterman, Fallon, Kimmel, O’Brien, or even Carson? I actually haven’t tuned in for the new Seth Myers Late Late Show, so I’ll have to remember to do that one of these nights (damn you, old age). Have a fantasmagistical Throwback Thursday, and stay tuned for even more award-winning content here at SQ! 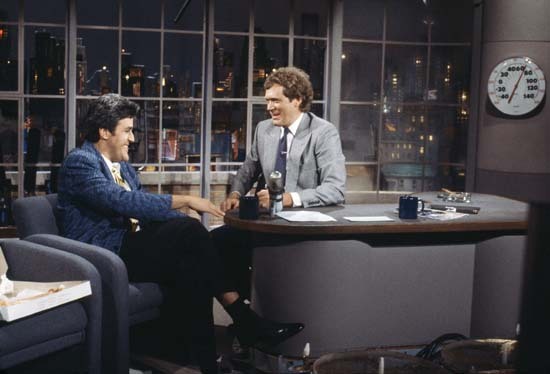 /Photo credits courtesy of The Tonight Show and The David Letterman Show and their respective networks. I read this article on SQ and found it very interesting, thought it might be something for you. 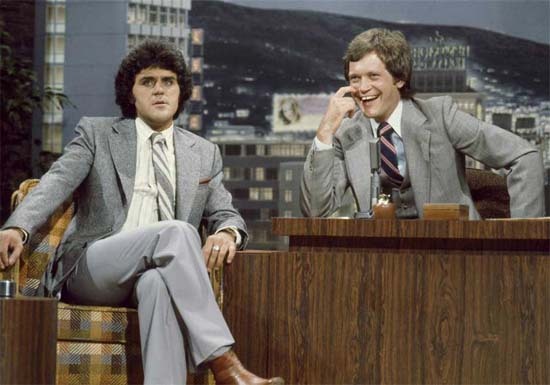 The article is called Throwback Thursday: Jay Leno and David Letterman Pics from 1979and is located athttps://www.slightlyqualified.com/throwback-thursday-jay-leno-and-david-letterman-pics-from-1979.